I had thought that I knew what Braxton looked like when he was angry. I was wrong. I&apos;d pissed him off several times since knowing him, but all of those times he must have just been mad. Right now, he&apos;s furious. Braxton is barking out orders at Caden, his arms wrapped around my waist, holding me close. I&apos;m thankful for that, as it helps to calm my nervous shaking. I keep imagining Sebastian killing people, ripping them apart. He is scary enough when he is in human form, I can&apos;t imagine how terrifying he is when he is a wolf. "Brynlee... Brynlee!" Braxton voice jolts me out of my thoughts and I look up at him with wide eyes. "Hey, princess, it&apos;s going to be just fine, nothing bad is going to happen to you," he reassures me. I nod but I don&apos;t feel any better. Based on the look on his face, I know Braxton can tell that his words did not help. He sighs. "I need to go take care of this." "Don&apos;t go," I blurt, not realizing what I&apos;ve said until the words are already out of my mouth. "I have to, princess. Noah and Garrett will be here any second. I&apos;ll be back before you know it," Braxton tells me. A second later, Noah and Garrett are standing beside us, looking more serious than ever. "You let me know immediately if anything goes south," Braxton growls at the two and they each nod. "Don&apos;t let her out of your sight." Braxton then turns his attention back to me. "Listen to Noah and Garrett. Please." I nod my head a few times and Braxton looks relieved. He presses a quick kiss to my forehead before he is gone. I stand still for a few seconds, trying to catch my breath. Noah and Garrett just stare at me, looking mildly worried. "Are you okay, Luna?" Garrett finally asks. "I&apos;m fine," I murmur. "I just would rather not see Sebastian ever again." "You wouldn&apos;t have met Sebastian in the first place if you hadn&apos;t run away," Noah comments, smiling. "That was a good escape, we didn&apos;t even realize you were gone for like ten minutes." Garrett glares at Noah, elbowing him in the stomach. I laugh slightly. "Thanks, I guess. I&apos;m sorry about that. I was scared. I won&apos;t do it again." "You&apos;re not scared anymore?" Noah asks excitedly. "I&apos;m not gonna lie and say that this doesn&apos;t still freak me out a little," I say. "But there are some things that scare me a lot more right now." "That&apos;s good," Garrett comments, continuing when I raise an eyebrow. "I mean it&apos;s good that you don&apos;t plan on running again. 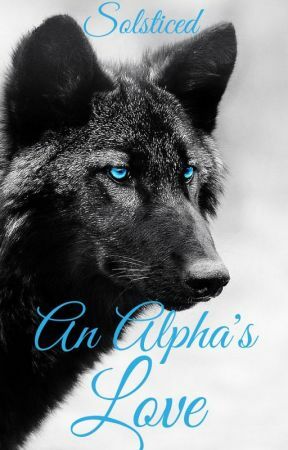 The Alpha was pissed when we told him that we didn&apos;t know where you were." "Understatement of the century," Noah mutters. "He nearly killed us." My eyes widen. "He hurt you?" Garrett shakes his head. "No. His wolf definitely wanted to, but he restrained himself. Plus, his main focus was finding you." I stay quiet. It&apos;s just now hitting me that when I left Braxton must have been ridiculously worried. I feel really guilty all of a sudden. "Is everything going to be okay?" I ask. "I mean like right now." "Yeah," Garrett shrugs. "I heard it was only a few rogues and Braxton took way more wolves than necessary to take care of them." "How did they get in?" I question. "We do constant patrols around the borders but the territory is huge. They must have been watching us and slipped in through a crack," Noah explains.